Why use a boiler or autoclave when continuous water and energy-saving OAB(R) steam is available for better productivity and low energy usage. If steam is not an essetial chemical component and only used for heating - save even more by eliminating water use. Use an Airtorch. No combustion. High Efficiency Electric Steam Boiler / Generator - One Atmosphere Boiler for heating kettles and vats. Use hot air/gas or steam. MHI manufacturers all types of high efficiency heaters. Compare Efficiency. Three types of efficiencies are important to consider. (1) the efficiency of the steam genereration device where the OAB® and MightySteam® excel; (2) the efficiency of the downstream process that the steam is used for; and (3) the overall water usage efficiency and propensity to recycle the water. The one atmosphere steam-gas generator/boiler OAB® performs well in all three categories. Better conversion factors allow OAB® units to use less resources to produce more steam. A standard OAB steam output at 350°C, is almost at the theoretical efficiency of power conversion for the OAB steam generation! The OAB's rapid start-up (generally with a minute from cold start) also adds considerably to the overall lowering of energy usage. Getting to temperature quickly and faster results in lower operational wear and related costs i.e. an overall higher productivity with corresponding higher kinetics. The output velocity of the 550°C OAB steam is very high - almost 40m/s or more. This feature is used for the uniform heating of kettles/heat exchangers and for reaching large piping distances without significant loss of temperature. For industrial vats and kettles, the heating rate makes a considerable difference to the overall process economics. A general rule of thumb of productivity from traditional pressure boilers is - (0.35 Gallons of heated product like water)/kWhr. For the OAB it is closer to - (1 Gallon/kWhr) i.e. almost three times (numbers may be lower or higher as they are situational dependent and one needs to evaluate on a case by case basis). Traditionally a 80-200 kW boiler is used for vat-heating by micro-breweries and juice producers. How much does energy cost? The price of energy depends on the source but is not that different between different forms of commonly used energy types that one can use (e.g. gas or electric). Comparisons are given for example here. In the US, when comparing gas and electric a rule of thumb is that gas energy is about 75% of cost when compared with the same quantity of electric energy. However electric machines OAB® or even electric boilers are generally much more efficient than gas heaters. Additionally, electric heaters can be efficiently/accurately controlled. For natural gas heating about 117 pounds of CO2 are produced for one million BTU (293 Kwh) of energy produced by combustion. No CO2 is produced by the OAB®. In the boiler world a unit called Boiler Power is used. (1BP ~ 10kW). So a 8 BP rated boiler is is approximately a 80 kW boiler. Example of energy savings: Owners of a Micro-Brewary or Cottage Cheese Milk want to use much less energy and remain ecologically low carbon foot-print producing. A typical micro-brewery may use kettles and vats which are heated with steam (or high quality hot air). Sometimes steam heating can be replaced with high quality Air Heating for the same kW's. Airtorch units are less expensive than the corresponding steam units for the same kW's. GO GREEN - AVOID WATER USE COMPLETELY WHEN NOT REQUIRED FOR THE CHEMICAL PROCESS. General instructions for Beer. Unless steam is required for the process a hot air device may be considerably easy to use and afford savings by avoiding the use of water. A typical micro-brewery may use kettles and vats which are heated with steam (or high quality electric Airtorch hot air) with the following sequence. Note that the scenario below is optimized for the lowest power-use possibility. 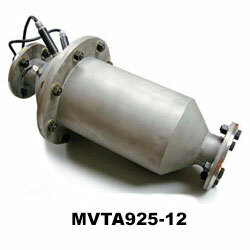 MHI offers one to several hundred kg/hr steam generators or Airtorch Units. Step 1: Heat approximate 600 gallon of water from 75°F to 170°F in kettle in 6 hours ~ requires 24 kW for a well-insulated kettle (i.e. one OAB -36, MVTA-36 or two OAB-12 or two MVTA925-12 units for use overnight). Lower power equates to longer time of heat-up as long as the insulation is adequate. 12 kW = 40968 BTU/hr. If you are a specialized microbrewery making 100 gallons a day then each such vat may require only 2 hrs of heating time. Step 2: Add grain to 600 gallon & maintain 150° F-170°F temperature in kettle 1 hr ~ requires 12 kW (one OAB-12 or MVTA925-12) to maintain temperature at 170°F. This depends on how much cold-grain added. Please be aware that grain can be preheated independently with an efficient hot air device or steam prior to VAT heating. Please check with your Brewmaster for accuracy. Step 3: Remove grain and bring liquid to mild boil in 6 hours (from 170°F to 210°F) - requires 12kW depending on the how much steam is made during the boil (one OAB-12 or MVTA925-12). Newer technologies for example introducing OAB-12 steam directly into water are sometimes possible to employ for speeding up the heating process, in which case direct water boiling techniques may dramatically lower the time required. The direct introduction is not feasible for all brews or with air to avoid combustion. The use of a more efficient steam generator like the OAB® allows one to cut down operation cost while demonstrating ecologically sensitivity. With an OAB® or Airtorch, please remember it is on-off device (on demand) unlike many traditional boilers. Remember also that it is your choice to use the medium of heating whether steam or air. Contact MHI. Note* Powers stated are approximate. How much savings per kW saved? A calculator is shown on the bottom table of this page and may be used to calculate energy and power required. When using steam, i.e. an OAB® please remember it is on-off device (on demand) unlike a traditional boiler which often has to be idled. Use only when required. Save enormous electric and water usage by using this on-demand feature. How does one increase the rate of production? 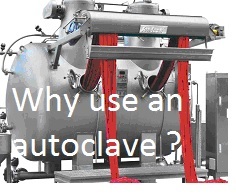 Short Answer: Increase the temperature of the process gas or steam. Yes this can be done with the OAB steam or an Airtorch. Detailed Answer: Please click to Steam Calculator page. HGA and OAB Steam Generator Models. A list of applications for the best steam available. Steam boilers and generators utilizing 20th century technology are innately inefficient. Combustion processes are typically inefficient or polluting. . Even with economizers and the best designs, most fire tube and water tube boilers can only approach 85% efficiency. Low efficiency ratings along with large footprints, long startup times and safety concerns have been the norm for any application requiring steam. Steam boilers generate steam through the use of combustion and high pressure. MHI's full line of patented steam boilers and generators generate pure, superheated steam at 1 atmosphere pressure without any combustion. Electric Steam Generation - MHI's Steam Boiler and Generator lines generate steam without the use of combustion. No NOX by products here. Or use the Airtorch. Pure Clean Steam - The highest quality low moisture content dry steam available is offered by many of MHI's steam generators. High Temperatures - Steam temperatures available from 300°C up to 1300°C. Scalable units provide steam without ever increasing the operating pressure! 21st Century Efficiency - All of MHI's steam products are 99%+ outlet to output efficient. Convert electricity to steam while minimizing losses resulting from combustion. Excellent Design - Most MHI electric boilers are small enough to be located near the demand source. Save money by not having to route steam piping. Electric steam generators are now a reality. With outputs available to over 200kg/hr of 1300°C steam, MHI's One Atmosphere Boilers are capable of fulfilling many small to moderate steam demands. 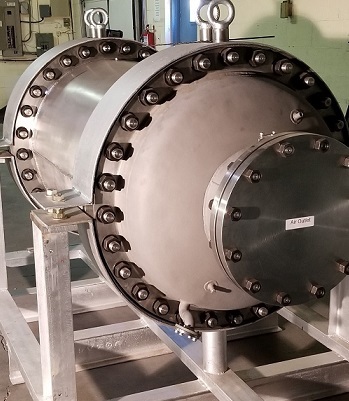 With small device footprints and unparalleled feature sets, products such as our OAB can revolutionize processes and reduce inefficiencies resulting from transporting steam through pipes, idling boilers and the combustion process itself.